February is 'Love the Bus' month! Sunday NAPT kicked off their 2015 #LovetheBus #LivetheBus challenge in honor of 'Love the Bus' month, the American School Bus Council's (ASBC) ongoing campaign to raise awareness and appreciation for the hundreds of thousands of school bus drivers who safely transport children to and from school. Take a look at the latest episode of NAPTV and examples of how we both #LoveTheBus and #LiveTheBus. Every day in the month of February — yes, all 28 — NAPT Executive Director Mike Martin will be taking a photo demonstrating his love for the bus, and we challenge you to do the same! To officially participate in the contest, submit your photos each day to info@napt.org. And help us spread the word! Post your photos to your Facebook and/or Twitter account, use the hash tags #LoveTheBus and #LiveTheBus and share your pictures on our pages @NAPThq. Mark your calendar for Wednesday, February 25 at 1pm ET for the next NAPT member webinar. Register online today! NAPT and School Bus Fleet magazine are excited to bring you the School Bus Xchange (SBX) — an extraordinary event designed to connect a diverse, distinctive and influential group of public and private school transportation service providers with an equally select group of product and service suppliers for an exchange of information, ideas and solutions. At SBX you'll spend two days working with “Expert in Residence” Mark Aesch discussing the foundations and parameters of data driven decision-making, exchanging ideas, exploring challenges and solutions, and learning from your peers in the industry. The 2015 SBX agenda explores the nexus between products and services that help you as thought leaders in the industry make more informed, and therefore better, decisions about the services you provide and the technology you use. Apply to be one of our select Operators. Apply to be one of our select Industry Suppliers. We look forward to connecting with you this April 6-8 in the Dallas, TX area! Featured in our "Business Partner in the Spotlight" section are: Gecko Microsolutions, Inc., SafePupil, SynTec Seating Solutions, and Trans Tech Bus. Their logos will be posted for the next few weeks, so please take a moment to become familiar with the products and services they offer. 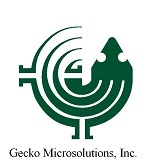 Gecko Microsolutions. Inc. (www.geckoms.com) knows you need a bus routing software company that respects this and isn’t trying to tell you how to run your department. That's what makes Gecko different, they listen to their customers. They have been very successful for the past 23 years selling transportation and routing software and student conduct software. SafePUPIL (www.verticalag.com) is a Division of Vertical School Partners LP. Vertical Alliance Group is an online publisher and strategic resource that offers a proprietary approach for lead generation and information delivery and management. They are a pioneer in providing customized information delivery systems – online-based solutions that allow you to deliver, track and manage virtually any type of information you choose, no matter how complex or straightforward the subject may be. SynTec Seating Solutions (www.syntecseating.com) is the largest school bus seat manufacturer in the industry, serving customers with quality seats since 2001. They are a fully integrated seat manufacturer with a dedicated staff, manufacturing quality products on time, every day. SynTec is best known for providing the standard school bus seats found in thousands of Thomas Built Buses, transporting children safely to school daily. Trans Tech Bus (www.transtechbus.com) is the manufacturer of industry-leading conventional and environmental-friendly electric Type-A school buses. They are setting the pace into the future of the Type-A bus market and redefining school transportation. From their new aerodynamic body design to their convenient versa track seating system you will find features like these and many others standard on all models. Your industry colleagues are only a few clicks away! Join NAPT's LinkedIn members' only group and start participating in discussions, post articles and share information with fellow leaders in the industry. Take a look, and see what fellow members are buzzing about with NAPT on LinkedIn! Miss an issue of the NAPT Dispatch? Click here to visit the NAPT Dispatch archive page. There's a huge loophole in North Carolina law helping violators get away with passing stopped school buses. How huge? Three thousand people a day are still blowing past stopped school buses despite the fact the legislature has increased penalties twice and allowed bus camera video in court. That's because a different state law is taking the teeth out of what the legislature recently passed. The growth in after-school programs, especially those focused on academics and enrichment activities in the arts, computer coding, and hands-on science, all have at least one challenge in common — funding. The price of running high-quality, out-of-school-time programs ranges from an average of $3,450 to $3,780 per student, according to a 2009 study by The Wallace Foundation. But those are somewhat blunt figures. 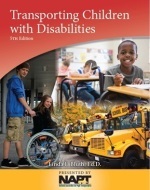 Costs can vary considerably based on such factors as location, grade level, whether the program is run by a school or community group, the length of the program, and how often each student attends. A local state representative is renewing her effort to pass a bill aimed at reducing crashes involving school buses. State Rep. Holly Hughes, Montague is sponsoring legislation that would add a new, lower level of bright flashing rear lights on new Michigan school buses. The bill is named after two siblings, Antonia and Bruce Privacky, ages 13 and 16; they were on their way home from school in Coopersville in Dec. 2011, when they rear-ended a school bus that had stopped normally on the road. The teenagers' car was pinned beneath the bus and both died on scene. School bus drivers say other motorists are putting school children at risk. "I think somebody's going to end up getting hurt," said parent Pauline Benavidez, whose young child could ride the bus, but doesn't. "The bus makes me so nervous, usually I just pick her up." Benavidez is nervous, in part, about other drivers. KRQE News 13 rode with two different Rio Rancho Public Schools bus drivers for a six days and witnessed the problem first-hand. Drivers were breaking the law. The law states that when a school bus has its red lights flashing and the stop arm out, drivers must be 10 feet or more from the bus. AUTO-JET MUFFLER Corporation has been manufacturing school bus exhaust systems since 1959. There have been many additions to bring it to its current size of about 65,000 square feet. Terry has also built a muffler manufacturing business that manufactures heavy duty all welded mufflers, United Muffler in London Ontario, Canada to compliment the tube bending business. With cities and towns across Southern New England preparing for a blizzard over the next several days, they might want consider giving students an extra day off from school. That's because a 2012 study released by Harvard Kennedy School of Government found that weather-related school closures do not have a negative impact on student learning, in part because the days are often made up at the end of the year. The study, prepared by assistant professor Joshua Goodman, also found that a district's decision to keep school open during inclement weather can actually be detrimental for students because "many kids will miss school regardless either because of transportation issues or parental discretion." Parents are a critical stakeholder in schools, particularly when a leader or governance group needs to make an important decision. What leaders, often times those at the central office, lack are a set of strategies to use with parents other than "let's talk about that." In Georgia, the City Schools of Decatur Board of Education started to experience a wonderful problem in recent years: too many students. After a decade of declining enrollment, multiple years of 10 percent unexpected growth put leaders on high alert. This edition of the NAPT Dispatch was sent to ##Email##. To unsubscribe, click here. Did someone forward this edition to you? Subscribe here -- it's free!